I wrapped up a fairly intense period of travel with a day trip to NYC on Monday and a subsequent overnight in Nashville on Tuesday & Wednesday. 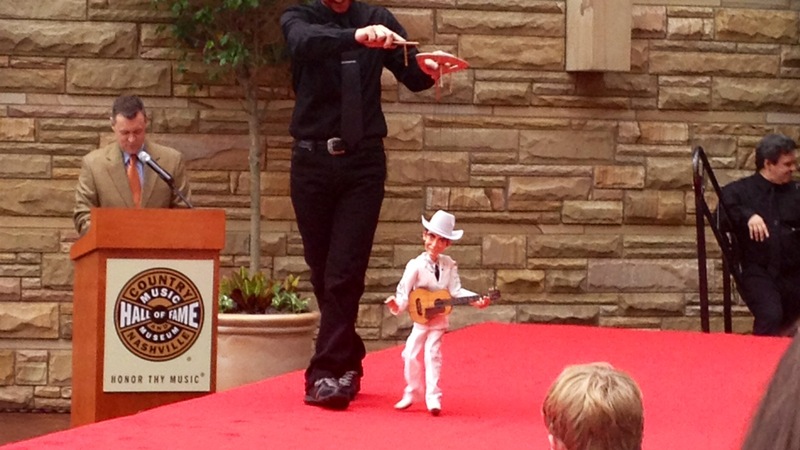 While in the Music City, our Chairman invited me to join him at a puppet festival (yes, you read that right). The show, a musical chronicle of the history of country music, benefitted the Nashville Public Library Foundation and the Country Music Hall of Fame. Laugh if you will, but I will tell you, it was amazingly creative. As I mingled with various benefactors of both institutions, I found myself engaged in conversation with the former managing partner at Bass, Berry & Sims. Having led one of the preeminent law firms in the Southeast, his perspective on how dramatically the legal profession has changed in the last fifteen years struck a nerve. The parallels between his profession and the banking space were immediately apparent. So with Patsy Cline playing in the background, we talked about the future of banking, professional services firms and relationship building in general. As we did, I made a mental note to share three thoughts from this week that underscore how things continue to change in our classically conservative industry. (1) First Republic’s founder and CEO, Jim Herbert, shared some of his Monday morning with me while I was in NYC. Jim founded the San Francisco-based bank in 1985, sold it to Merrill Lynch in 2007, took it private through a management-led buyout in July 2010 after Merrill was acquired by Bank of America, then took it public again this past December through an IPO. For those in the know, First Republic is one of this country’s great banking stories. Not only is it solely focused on organic growth, it’s also solely focused on private banking. While my conversation with Jim was off-the-record, I left his office convinced its the smarts within, not the size of, a bank that will separate the have’s from the have not’s in the years ahead. Clearly, as new regulations and slim profit margins challenge the banking industry, the skills and backgrounds of the employees who work in banking must change. For those thinking about introducing a Risk Committee into their bank, take a look at what some of our speakers shared leading up to last week’s Audit Committee conference for inspiration. 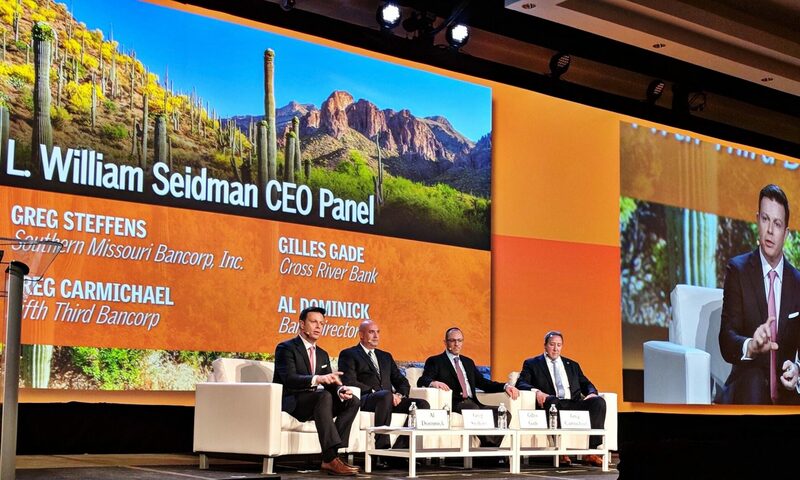 For a recap of the event, our editor shares his thoughts in today’s Postcard from the Bank Audit Committee Conference. (3) Yesterday, I was pleased to learn that ConnectOne’s CEO, Frank Sorrentino, agreed to participate in our annual Bank Executive & Board Compensation Conference in November. In addition to being one of the more active bankers I follow on Twitter, I’ve written about his bank going public in a previous post. Today, it’s a WSJ piece that shows U.S. regulators grilling banks over lending standards and “warning them about mounting risks in business loans” that has me citing the NJ-based bank. This particular article quotes the CEO of the Englewood Cliffs, N.J. bank in terms of lending standards (yes, a subscription is required). He reveals that regulators recently asked what he is doing to ensure he isn’t endangering the bank by making risky loans. His response: “the bank is trying to offset the lower revenue from low-interest-rate commercial loans by cutting expenses.” While I get the need for oversight, I do wonder how far the regulatory pendulum will continue to swing left before sanity/reality sets in at the CFPB, FDIC, OCC, etc. I’ll stop before I say something I regret, but do want to at least encourage a Twitter follow of Frank and his “Banking on Main Street” blog. Previous PostPrevious Swimming without a bathing suit?